Nigeria's opposition party, Action Congress (AC), has ex pressed shock and sadness at the apparent crash, on Monday, of an Air France Airbus 330 with 228 passengers on board, describing it as a monumental tragedy of global proportion. 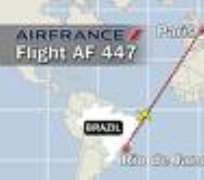 In a statement issued in Lagos on Wednesday by its National Publicity Secretary, Alhaji Lai Mohammed, the party said even though no Nigerian was believed to be a board Flight 447 which was flying from Brazil to France when it disappeared, ''our shared humanity means the tragedy touched us all, no matter where in the world we are domiciled''. The party prayed that God, in his infinite mercies, will give the families of all the victims, who cut across many nationalities, the fortitude to bear the apparent loss of their loved ones. It expressed the hope that the investigations currently underway would help unravel how a relatively new, state-of-the-art airplane can just drop from the sky, especially as what is believed to be the debris from the plane had been found some where in the Atlantic. "While air crashes are regarded as one of the worst tragedies in the world, they inevitably lead to safer flights, if the causes are properly investigated and the lessons learnt taken seriously. Perhaps we can then take some solace in the fact that the 228 people aboard Flight 447 would not have died in vain if the fate they suffered could make flights safer in future,'' AC said.